Hello, online world! My name is Howard and I am a full time RVer!! I have two main interests when it comes to a presence on the internet: the first is a healthy lifestyle, which is achieved through food first, and the second is full time RV living. Both of these I enjoy on a daily basis. I have been mostly self-employed through my work years and I prefer it that way. I have had some great successes and some great failures! Or should I say I had some great learning experiences! I have decided to pursue affiliate marketing again in order to grow my new business venture. I formed an S-Corporation called HMRVI Corporation. It focuses on offering banks, insurance companies, and RV buyers and sellers the opportunity to have an RV professionally inspected in order to gain a better understanding of the current condition of the RV. 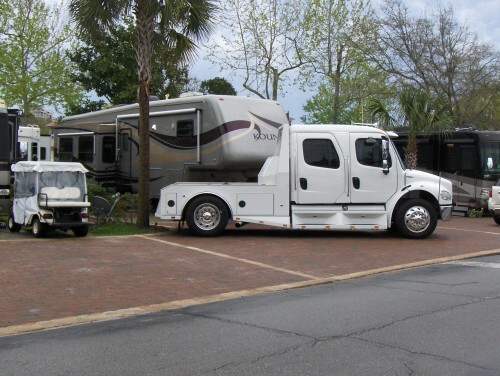 Through the NRVIA, anyone across the United States can have their RV professionally inspected. Canada has come on board with a few individuals working to develop this service in that country too. My hope is that my connection with Wealthy Affiliate will help me launch my website and gain an internet presence in this new market so folks will know that this new service now exists. Well, I have been here since summer of 2014! I went yearly premium after only a week of a free trial. I renewed for another year last summer. There is no way you can get all this training, support and hosting services for the cost. I am thankful for the leaders who are here at WA providing this awesome service! My websites have helped me grow my business endeavors. I get excited to see the consistent growth! I work my website as much as I can. I now have 100 pages/posts. My website endeavors have led to opportunities to associate with national agencies that also represent the RVing industry. Between affiliate income, direct referral traffic, and phone calls from my website, I can tell you that this will work for you if you work for it!! I am always active here at Wealthy Affiliate and check in regularly, but I have forgotten to update my profile. It has been quite a while! I have three websites up and running: two are landing pages and the other is the main source of leads for my business. I have mostly focused on just one to grow it into a page-one ranking site with many of my chosen keywords in my niche. yourfulltimervliving.com has grown to over 150 pages and posts and over 1,300 comments/interactions. The site hovers at 25,000 hits a month and still growing. Revenue has been consistent: some months I make thousands, and other months just hundreds, all from affiliate dollars and leads acquired from my website contact retrieval system. 2017 was a great year! My business more than doubled. I had to pay a lot of taxes, but the overall percentage was much lower than a W2er working for a paycheck, all because I have my own S-corporation! My company bought a work truck at the end of 2017 to better advertise my offerings. The cool things is that because I own a business it qualified for a $11,560 deduction. God Bless America!! WHY I LOVE WEALTHY AFFILIATE! Every time I need a resource because of an idea I get from WA, I always have the resources to put that idea into action to grow the website further. My only resource for my online success has been Wealthy Affiliate! All the information you need is right here. If you follow the training and do the work as recommended, you can create a website on your own, have complete control over its content and direction, you do not have to pay someone else to achieve great results, and all that for less than a $1 a day! Press on . . . . . . . . . .
PS - Remember one very important thing! Being social here in WA is great and helpful to others. BUT, starting out, focus on your training and your website development. Focus all your energy there!!! Once you are making money and achieving the goals you set for yourself, you will be in a better position to help others here in WA! I just popped over to say a massive thank you for adding me to your network. If at some point in the future you have something that you feel that I may be able to help you with, then please do not hesitate to contact me. Thanks for stopping by Julie! Yes, we are blessed! Enjoy your time here in WA!! Hello, Howard thanks for the follow and the welcome to WA. We are definitely in the right place! I may not be among the top 200 anymore (because I don’t socialize here much) but I do have many interesting posts on my site (no seriously I do!) and some you might really like, many people do. I have over 6,000 positive comments, so take a look and get some ideas as to what you can do with your site. Thanks for stopping by Peter. I'll check out your link. all about reminds me of some other ventures I have done. son and nephew started a logging business several years ago. part by over loading or something. Seems as if this online business is a little like that. Just keep trying and it all comes together eventually. I am still trying to locate the start button. Loads of success to everyone. Thanks for stopping by and sharing James! Never thought of that analogy but that kind of makes sense. The good thing is we can't break anything here at WA. We can create more work for ourselves, but if we follow the training and ask questions, those issues are reduced. James, click on the training link on the left of your screen, then click on the "online entrepreneur certification" link, and get through level one. That will be like throwing sand on the slick surface and give you traction to move forward. My parents Rv'ed for 20 years when my dad finally retired, they had to stop due to my mother having two knee replacements, a hip replacement, triple bi-pass, and half her Colon removed. Needless to say, even though she has recovered from everything listed above, she is no longer in any kind of condition to be Rving. Is also very inspirational to hear your success story,and your word of wisdom makes me want to leave the world behind and just dig in to creating the best website I could possibly design. I am working on it and someday soon I hope to be able to report a success story like you. Thank you for the return follow! Thank you for stopping by and sharing Calvin! Glad to hear your Mom is doing better and that they had twenty years to enjoy the RV lifestyle. 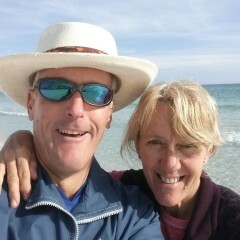 Pam and I decided to start before retirement and have a business that centered around the lifestyle. And once decided, it all fell into place. Like you mentioned in your bio about having great failures, I like your comments regarding it, and I see them as necessary to our learning experience. Remember Thomas Edison: " I have not failed. I've just found 10,000 ways that won't work "
Howard success growing your RV business. Thanks for stopping by and sharing Marcus! We wish you great successes here in WA! Hello, Howard, your bio is full of useful information, I totally agreed with you, this is the best online training, I have been here seven months now, and I loved it. I need to focus more being social and be more active, there is so much to do every day, I have a hard time to achieve all the tasks recommended. Thanks for stopping by Jacqueline! I am glad you found the information I shared to be useful. To your success as well! Focus on your training and website so you can learn, make money, and then be helpful to others. Thank you, Howard, I will do that focus on my training and help others. Stopping by to get to know you a bit better. Very interesting bio. Me and my husband did a 4-month RV-Holiday in Australia once. It was an amazing experience. Wish you continued success with your businesses and a continued wonderful journey on the road of happiness and Fulfillment. Thank you for your tip to focus on the training and my business even more. Thank you, Pernilla! Glad I could offer some useful information. Hi Howard! The website is coming along. I tried out a good number of themes before I found the one I wanted to use, at least to start out with. I can already see that I will want to use something different later that has more functionality. But I will at least have a presence out there. Glad to hear you are getting your website up and running. Once fully launched, by continually adding quality content, that will get Mr. Google to notice you. Press on . . . Thanks for stopping by you two! Engage the training and all the resources here at WA and make your dreams come true! Thanks, Howard. I enjoyed reading your bio, especially the updates. What caught my attention is the last paragraph about focusing on the training first. Since I joined, I have enjoyed reading the blogs and making comments to them. The engagement is just intoxicating for me. I realize I do have to focus on the training, step by step, if I am to enjoy the rewards that are certainly to come. Thank you for following me back and for the encouragement. I feel privileged to be part of your network. I look forward to interacting with you more in the future. Thanks for stopping by Mojalefa! Hello, Howard. (My father's name as well). I really enjoyed reading your profile. I was a fulltimer for about 5 years. My travel partner began a business as a vendor at RV rallies, then fairs, etc., and we didn't do the traveling I wanted to do anymore. He had a regular "route" of shows, which took us to the same places every year. I was homesick for my mountain cabin and came home, but remember all the friends we made while on the road and how much fun the lifestyle is. I imagine you are familiar with the Escapees RV club for fulltimers. We really enjoyed the friendships we made on the road. I think your business of professionally inspecting RVs is a wonderful service, both for someone considering buying a used RV as well as someone looking to sell and needing to know the value for pricing it. I'm going to share your website with my former travel partner, who is still on the road in an older Beaver coach. Thanks for stopping by Carol and sharing your story! 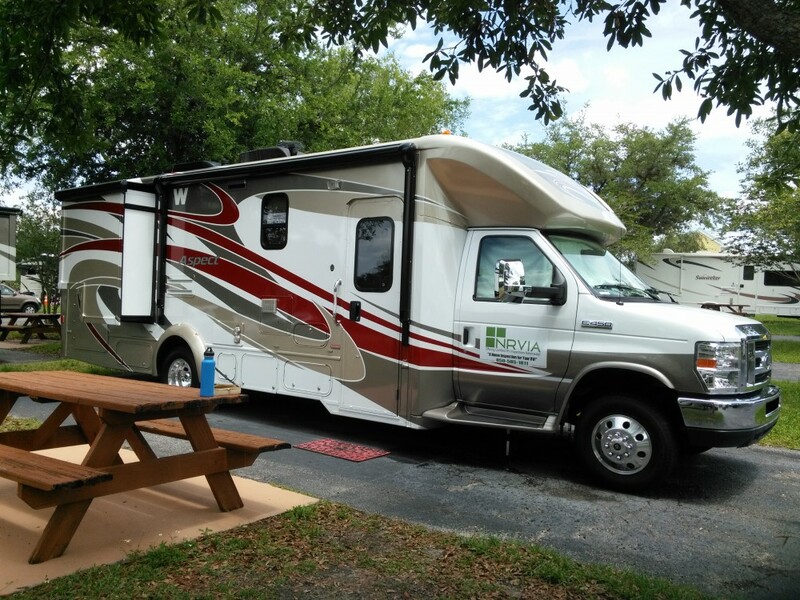 Yes, we are familiar with most of the RV clubs that are out there and use a few of them. You have a blessed Easter as well! Greetings!!! Nice knowing you and get connected with your network. I see you as successful person here in WA. I will not wonder why because as I read your bio, I learned a lot from your experience. I wish your continued success in your RVing and I'll keep in touch. Best regards. Thank you for the follow - and thank you for your 2017 update! It is so encouraging and you give really good advice. I am glad to be part of your network and look forward to further networking with you. I have "hit" the "frustration" bump just recently and your bio update has really hit home for me! Thanks for this! Thanks for stopping by Orion! I am so glad that something I did helped you out in some way. As Zig Ziglar always said, "If you help enough other people get what they want, you will have everything in life you want." And the best part is that anyone can enjoy doing just that. Aaaahh . . . Sorry! It's late here, I guess I am not all here. Hello Howard, in spite of a few drawbacks, I see that you have enjoyed much success in your business over the years...congratulations! I'm kinda new in this online marketing business and still have a hell of a lot to learn still...not excluding my limited computer savvy! Great wisdom, thanks!! I have tried to balance both social and business development (because I want to be a good WA citizen!) but honestly it is all SO much!! I like reading profiles like yours to keep my eye on the ball. I have already learned so much and I am only in early stages. Much happiness and success to you. Thank you, Kathleen! You are in the right place here at WA. It is a lot at the beginning, but take a breath and take it all one step at a time. We all go through that feeling. You will be fine, just keep keeping on! Thank you!! It is an exciting time!Yes, deep breaths, I am determined to carry on in a much more reasonable pace. I have hit a few technical walls but that is always so satisfying to figure out!! Thank you for connecting. Don't sweat the technical stuff too much, just keep up with your training, at your pace, and keep writing website content! Dear Howard, thanks for sharing and for accepting my invite, much appreciated. Seems you're doing very well, so keep on track and let's stay in touch. Hope you enjoy!Happy \New Year to you and Yours! Cheers! I am so glad you have found the same value at Wealthy Affiliate that I found years ago! Press on Sir! Your website is looking great! Hi Howard. I am only new to this business & I had already started to question the time required for the social aspect. Thank you for your straight forward advice as to what the priorities should be. Valuable advice indeed, but I will certainly take the time to follow your direction. Can I Donate to Your Site? When Will You Break Through? YOU Were Born to be Wealthy!